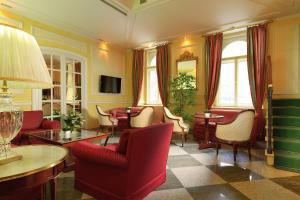 The Hotel Tiepolo is located 300 metres from the Andel shopping centre and metro station. Prague's Old Town is only 1 metro stop or a 20-minute walk away. 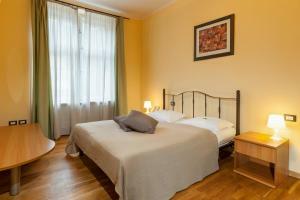 Rooms offer twin or double beds and a seating area. A private kitchenette is available upon a request and for a surcharge. The tram from the nearby stop (50 metres) takes you directly to the centre and a shopping mall is reachable within a 5-minute walk. Restaurant Atelier Red & Wine, Prague Guest reviews: 9,4/10 ~ 1,1 km from Hotel Tiepolo Address: Rosickych 603/4, 15000, Prague. Cuisine: French. Restaurant U Kroka, Prague Guest reviews: 7,4/10 ~ 1,7 km from Hotel Tiepolo Address: Vratislavova 12, 12800, Prague. Cuisine: Czech. 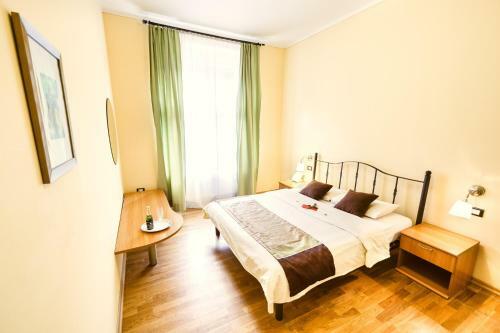 Restaurant U magistra Kelly, Prague Guest reviews: 9,2/10 ~ 1,8 km from Hotel Tiepolo Address: Sporkova 521/5, 118 00, Prague. Cuisine: Czech, International. 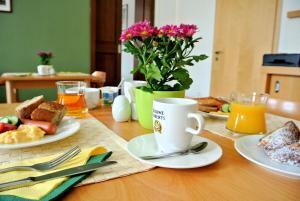 Restaurant Coda, Prague Guest reviews: 9,2/10 ~ 1,8 km from Hotel Tiepolo Address: Trziste 9, 11800, Prague. Restaurant Cafe U Zrcadla, Prague Guest reviews: 10/10 ~ 1,9 km from Hotel Tiepolo Address: Uvoz 161/22, 110 00, Prague.